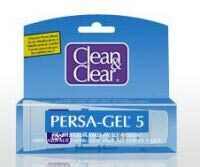 inexpensive sticky feeling/hard to wash off Skin does not feel clean. After using pHisoderm (both oily skin and sensitive skin) cleaners i decided to give this one a try because it is a big bottle and cheap. I felt like this didn't clean my skin very well, it felt slippery and sticky even when using it in the shower. The directions on the bottle say "Apply to wet or dry skin. Massage for 30 seconds to maximize cleansing and moisturizing effects. Rise with water or wipe off." Wipe off??? 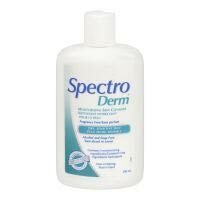 I have tried Specro Derm sensitive skin cleanser (green bottle) but found it very slippery/sticky feeling and hard to wash off. Is the Spectro Jel/Purple bottle much better? I have been using pHisoderm mostly over the past year if that is anything to compare it too. wondering if anyone has gotten free samples of OTC products? I don't mind buying new things but when i already have several bottles of [whatever] I hate to waste stuff. I am currently using pHisoderm and curious about Cetaphil cleanser and moisturizer but don't want to spend money and have stuff lying around getting old. I used to shave every 3-4 days (any longer than that and I found the hairs too long and cause irritation from shaving.) However I have switched to a electric razor (Philips rotary) and find it to be wayyy less irritating I can shave every day! With electric you must shave regularly because long hairs can get pulled and cause irritation. Electric (rotary) shaver before showering in the PM. When I shaved with a blade I would only do it AFTER washing. With the electric razor I find that it's best to shave every day, otherwise it can cause irritation, so if I miss shaving in the PM I will shave the next morning. When I used to shave with a razor I would shave every 3-4 days (I don't care about stubble, I rather like it) because it took so much longer for my skin to recover.